J & H Commercial Cleaning Services, LLC is the premier office cleaning company in the Jupiter area. With years of experience in the industry, we have the skill and expertise to keep your office looking immaculate. Whether you need to improve the condition of your office or you’re looking to save time and money with a cleaning service, we’re here to help. 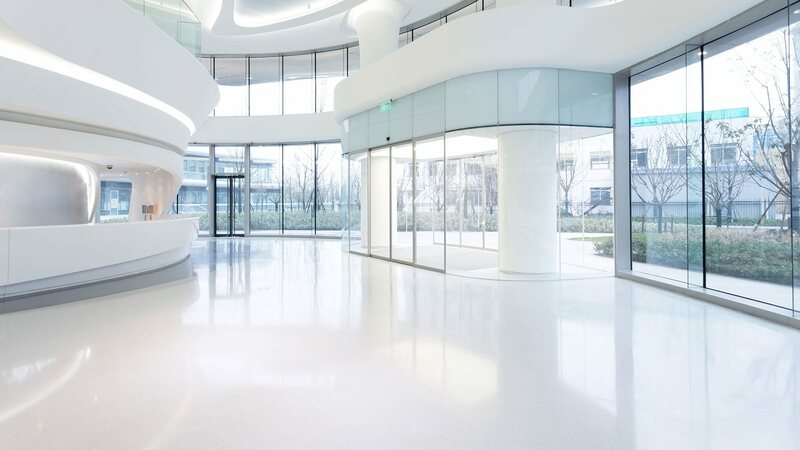 We provide a comprehensive consultation process, during which we’ll come to your location, assess your cleaning needs, and discuss how we can help improve the condition of your office. We’ll then devise a custom cleaning regimen designed to work for you and fit around your office’s busy schedule. When you contact us, you don’t get a slapped-together operation that barely scratches the surface of your cleaning needs. You get a cleaning crew that’s dedicated to giving you exactly what you want––a squeaky-clean office. And if you have any specific sanitation needs, such as a room that requires sterilization, we’ll be right there to help. We are passionate about our livelihood. That’s why we ensure that our cleaning crews consist of trustworthy, punctual, and dependable professionals. Each of our cleaners is hand-picked, trained, and vetted to ensure that they are committed to providing our clients with the most effective cleaning service possible. Our services are also priced at extremely competitive rates. We utilize a lean operational model to keep our costs down and to ensure that as many of the people of Jupiter can benefit from our services, as possible. We consider ourselves the masters of cleaning. We pride ourselves on the work that we do and on our ability to restore any space to a pristine condition. We’re not just surface cleaners. We use our expertise to provide deep-cleaning treatments that improve the condition of your office and protect it from wear and tear. That way, your office will stay cleaner for longer, saving you time, money, and effort. J & H Commercial Cleaning Services, LLC is committed to providing sustainable solutions for your office cleaning needs. We focus on using environmentally-friendly methods and materials that help us keep your office clean while protecting you and your surroundings from harm. We avoid using toxic chemicals that may impact the environment when a green solution is available. At J & H Commercial Cleaning Services, LLC, we’re proud to be Jupiter’s leading cleaning company. We have a long list of happy clients who can attest to the speed and quality of our services, the reliability of our staff, and the affordability of our prices. We want you to join them. Worry free. That’s why we offer a 100% customer satisfaction guarantee for every cleaning job we undertake. We know you’ll love our services. But if for whatever reason you feel unsatisfied, we’ll work with you to fix the problem. Why wait? Save time and money—contact the best cleaners in the area. When you’re keeping all these balls in the air, other things can fall through the cracks. Things like dust and grime. It’s understandable that the last thing you want to do after a twelve-hour day at work is carpet cleaning. You’re the manager, not the janitor. But dirt, like death and taxes, is inevitable. 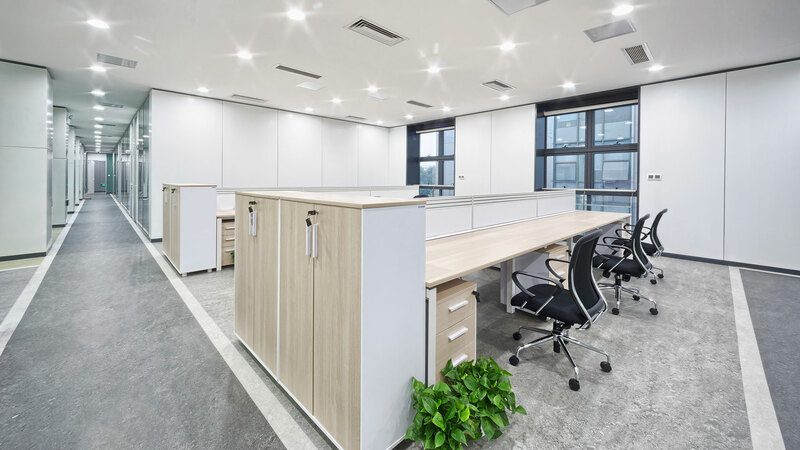 Consider these ways in which hiring J & H Commercial Cleaning Services, LLC for your Jupiter office cleaning needs can save your small business. Okay, maybe ‘save your small business’ is overkill. But there’s no doubt that a fresh office cleaning can boost morale at your workforce. Nobody wants to take responsibility for the lunches that have been growing mold at the back of the fridge for months, but everyone will be really happy when they’re gone. There are ways to hire a cleaning company for jobs you didn’t even know needed doing. Run a restaurant? Your employees would love to take a Friday night off worrying about the grease traps. J & H Commercial Cleaning Services, LLC handles it all, no matter how unconventional the cleaning service required. If your employees keep getting sick, is your work environment to blame? Illness can be spread by unclean surfaces, allergies triggered by a lack of carpet cleaning, and lung problems can be made worse by unclean ventilation systems. An investment in the cleanliness of your workplace is an investment in the productivity and health of the people who work for you. Healthier workers are happier workers and more productive workers. It’s a no-brainer! You became a small business owner because of your overwhelming drive to succeed on your own terms. But that doesn’t mean you need to do everything yourself. Sure, you drafted the contracts and navigated Jupiter’s license bureaucracy yourself. You may have built your company from the ground up, but you don’t need to get back down to scrub the floors. Hiring a janitor or cleaning services from J & H Commercial Cleaning Services, LLC can take a load off your mind. In the same way that letting us handle your cleaning needs can benefit the health and morale of your employees, it can do the same for you. It’s not rocket science— when you’re happiest and healthiest, your business will prosper and you’ll be able to focus on the things that matter. We have years of experience in cleaning all sorts of commercial environments, from warehouses to trailers. There’s nothing you can show us that will scare us off. Let us show you our commitment to excellence with a free no-obligation consultation. Call us today!